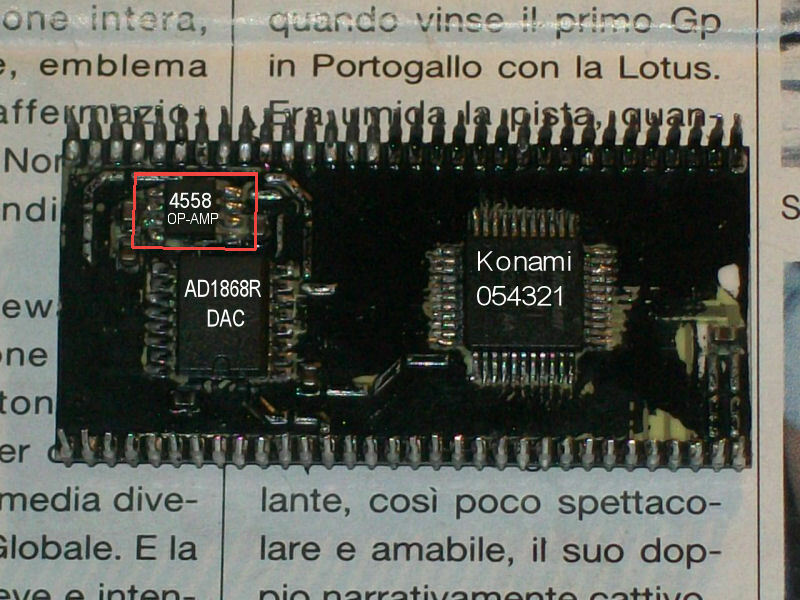 In particular there is a QFP Konami ASIC marked ‘054321’ (probably a MCU which controls the entire sound system, infact if you run the PCB without it the RAM/ROM test will show error on all related sound components -RAM, ROM, 74LS245 and ASIC ‘054539’).Besides there are also a JRC4558 OP-AMP (LM358 compatible) and a AD1868R (Dual 18-Bit Audio DAC), all in SMD package. 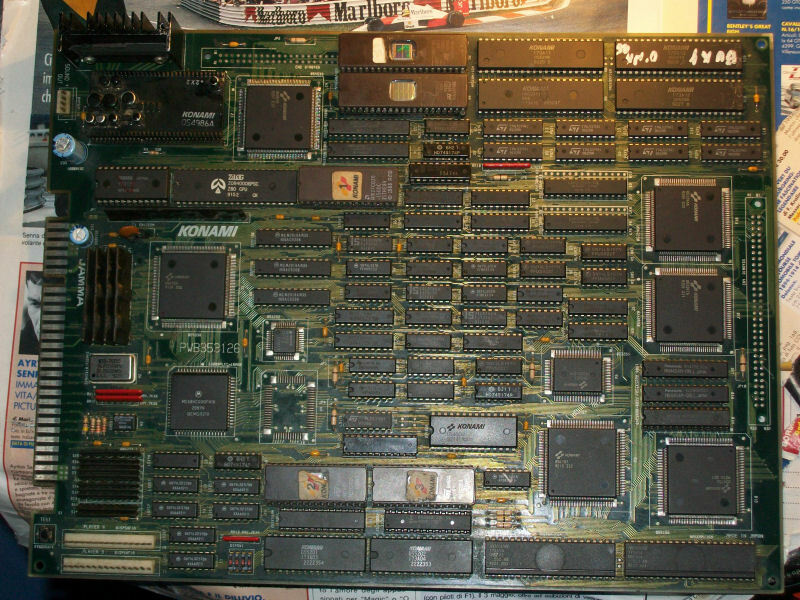 Judging from the issue I started to suspect about the 4558 OP-AMP.So, I borrowed one from a faulty PCB. After a quick soldering I turned on the PCB again and..the sound was back, crystal clear as it should be.Mission accomplished.